Mutual trade ties, reform of the international currency system and fluctuations in commodity prices have topped the talks of the BRICS group as the leaders of Brazil, Russia, India, China and South Africa gathered in the Chinese resort of Sanya. ­The world's emerging economic giants said they have reached common ground in their push for reforming international monetary institutions on Thursday, as the BRICS group – from this year including its new member South Africa – met for the third time since it was formed in 2009. 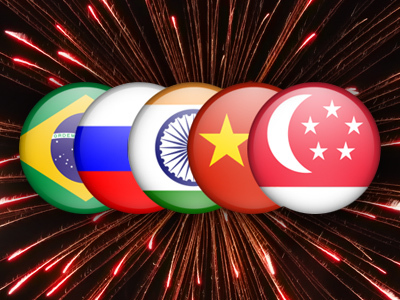 The five nations want greater influence, economically and politically on the world stage. 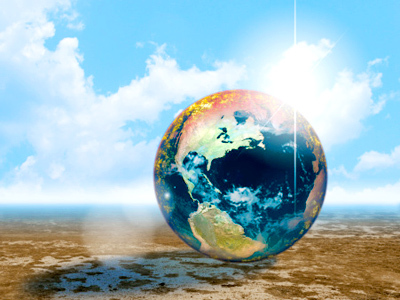 All members want to see reform of the current financial model, with it favoring developing countries. They have become more bold in expressing a united front when it comes to global affairs. Russia’s leader Dmitry Medvedev expressed his hope that a joint position on key issues could raise their influence at November's G20 talks. The group of five was quick to point out that this grouping is not going to replace or go against any existing organizations. The leaders see it as pulling together their resources and their vision and presenting it to the rest of the world. “We are engaged in efforts to create a multipolar institutional order with no hegemony and no dispute over areas of influence. 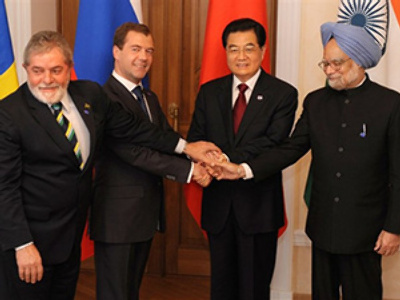 BRICS is not organized against any group of countries. In fact we work for global cooperation and governance mechanisms in line with the 21st Century,” said Brazilian President Dilma Rousseff. The BRICS have called for a broad-based international currency-reserve system. China wants to push for the Yuan as an alternative to the US dollar. However, Brazil and India have expressed reservations over China's currency ambitions, given their close trade ties with the US. Armen Oganesyan, the editor-in-chief of the Moscow-based International Affairs magazine suggests that if there are to be any changes in the global reserve currency system, it will not be one particular currency replacing the current US dollar, but a mixture of currencies. Another issue that the “group of five” keeps bringing up is that they are really worried about the fluctuation of commodity prices – all the basic necessities for these economies to develop. They said problems in Western economies and the US economy are the cause of this fluctuation. In order to solve this they want more say in the IMF and the World Bank to reflect their position in contribution to the global economy. “All BRICS countries have a common approach to the reform of the International Monetary Fund and the World Bank. We discussed the necessity of such reform at our meeting. We've reached a united position on this issue, as well as bringing down the volatility of world prices of agricultural products,” said Dmitry Medvedev. The summit was not only about the economy. The tense situation in North Africa was also on the agenda. Libya has been at a forefront of the talks when it comes to politics. The leaders condemn the use of force and intervention in Libya. Brazil, Russia, China and India abstained from voting at the end of March for the UN resolution which allowed air strikes in Libya. South Africa voted in favor of the resolution. “Like other BRICS countries, Russia is deeply concerned with the situation in Libya and the civilian deaths. We think the problem should be solved through dialogue, not force. 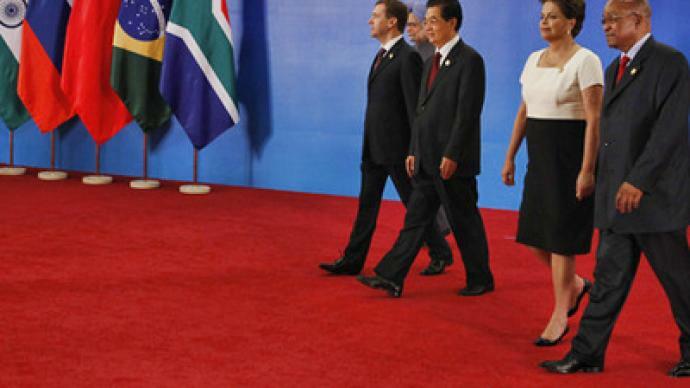 We appreciate the mediation efforts of the African Union and the South African president,” said Medvedev. The five are calling for a greater role for the African Union and the UN in ending the internal conflict in Libya. He also raised concerns about the treatment of the situation in Côte d'Ivoire, along the same lines, that the UN resolution on the crisis should be respected. “The UN resolution must be fulfilled, whether Russia voted for it, as South Africa did, or abstained. It must be fulfilled in accordance with the wording and meaning, and not with the free interpretations of some states. We voted for a no-fly zone to stop the escalation of the conflict, so that we could separate the two sides. But what we're having now, is a military operation. It may not be on the ground yet, but it's certainly going on up above. A number of countries were taking part, and then NATO stepped in. But the resolution doesn't say a word about it. That's why when I hear the resolution is bad, I disagree. The resolution is absolutely fine, but it must be fulfilled without exceeding the mandate it's based on,” Dmitry Medvedev told journalists after the BRICS summit. Watch RT's Irina Galushko's report from China. ­Tatyana Shaumyan, political analyst from the Institute of Oriental Studies in Moscow says the countries have joined into one group due to an analysis published by Goldman Sachs – who named the initial four countries – Brazil, Russia, India and China – the fastest developing countries in the world.